Girl kusoma Book. I'd upendo to see this statue!. 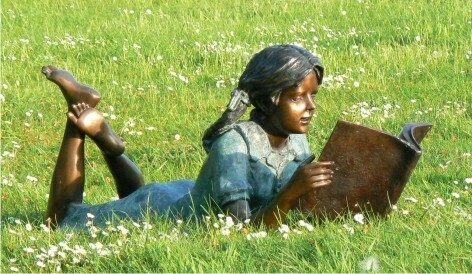 Wallpaper and background images in the vitabu vya kusoma club tagged: girl reading book statue books to read image. I'd upendo to see this statue! This vitabu vya kusoma photo contains barrow, bustani ya gari, lawn gari, toroli, gari bustani, gari ya nyasi, and wheelbarrow.